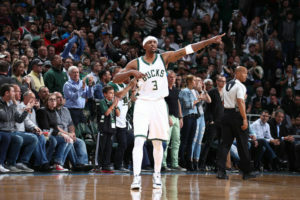 The Milwaukee Bucks return to the BMO Harris Bradley Center on Thursday night facing a must win in game six of their opening round playoff series against the Boston Celtics. Boston jumped out to an early lead and stayed their, pulling out a 92-87 win over the Bucks at TD Garden. The Celtics took a 3-2 lead in the series as each team has held serve on its home court. The Bucks are hoping to do the same on Thursday. The Bucks problem was their cold shooting. They hit just 36.8% of their shots (32 of 87) from the field for the game and made just 27.3% of their three-pointers (9 of 33). Khris Middleton scored 23 points to lead the Bucks, but Giannis Antetokounmpo took just 10 shots and was held to 16 points. Jabari Parker added 17 points off the bench and Eric Bledsoe finished with 16 points (5 of 15 FG). The Bucks made several runs in the second half to draw close, only to see the Celtics have an answer. Al Horford led Boston with 22 points and 14 rebounds. Terry Rozier added 16 points and Jaylen Brown had 14. Boston also saw the return of Marcus Smart to their lineup. He had nine points, three blocks and a steal in his return. Seldom used Shabazz Muhammad had 11 points in a four-minute spurt for the Bucks, but they got little from their remaining reserves. 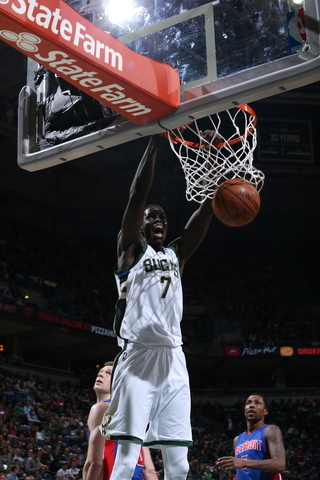 Thon Maker, Tony Snell and Matthew Dellavedova combined to score just two points on 1 of 12 shooting. The Milwaukee Bucks look to become the first team in their series with the Boston Celtics to pick up a road victory when the two teams hook up tonight at TD Garden in Boston. The Celtics won the first two games of the series in Boston. The Bucks returned the favor by winning twice in Milwaukee, including Sunday’s 104-102 win at the BMO Harris Bradley Center. The Bucks will need to win at least one time in Boston to advance to the second round. The Bucks got little from their bench in the first two games of the series in Boston, but rebounded to make significant contributions in Milwaukee. Two of the contributors in games three and four. Matthew Dellavedova and Thon Maker didn’t play in the opener and sparingly in game two. Both player helped improve the level of energy in the Bucks two home court wins. Jabari Parker also made a big improvement in games three and four after seeing limited playing time in the first two games. 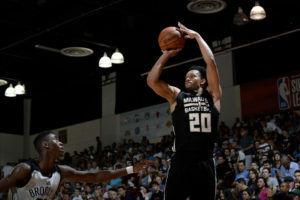 Parker came out of the first two games complaining about his minutes, but to his credit, he sought the advice of family and friends, as well as former college coach Mike Krzyzewski. The message hit home because Parker combined to score 33 points during the last two games. Milwaukee reserves outscored the Celtics reserves 81-49 in the two Bucks victories. But its much easier to play well at home. Now the series is back in Boston for game 5 tonight. It is always more difficult, especially in the playoffs, to play well and win on the road. At home, the crowd helps energize the players. On the road, there’s no crowd that will help that process. The players will have to create and maintain that energy on their own. If the Bucks can do that, they’ll have a decent chance of becoming the first team in this series to win a road game. The Milwaukee Bucks haven’t won a NBA playoff series since 2001. They’re hoping to break the long dry spell this season. They’ll open their first round, best-of-7 series with the Celtics in Boston on Sunday. Last year, the Bucks actually jumped out in front of Toronto two games to one in their opening round series before the Raptors came charging back with three straight wins to send the Bucks to an early exit. The Bucks go into the playoffs with a healthy roster, something they haven’t had all season long. Guard’s Malcolm Brogdon and Matthew Dellavedova both returned to the lineup this past week which will give the Bucks some experienced depth. The Bucks have players with playoff experience, but no player has won a playoff series in a Bucks uniform. They’re hoping to change that against the Celtics, starting at noon on Sunday at TD Garden. The Bucks lost a tiebreaker to the Miami Heat on Friday, dropping to the 17th spot in the 2018 NBA draft. What that means is the Bucks get to keep their first-round pick that could have gone to the Phoenix Suns as part of the trade that brought Eric Bledsoe to Milwaukee and sent Greg Monroe to Phoenix. The Bucks first-round pick would have gone to the Suns had it fallen between pick number 11-16 this year. Phoenix will eventually get the Bucks first round pick, but depending on where the Bucks finish, the Suns could have to wait as long as the 2021 season to land that top selection. The Milwaukee Bucks will still return to the Bradley Center for the upcoming NBA playoffs, but tonight, they’ll play their final regular season game against the Orlando Magic (7 p.m.). 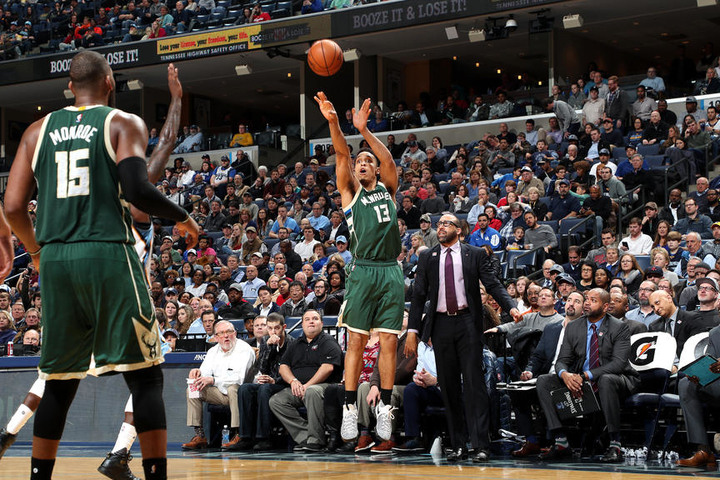 With two games left to go in the regular season, the Bucks expected to get guard Malcolm Brogdon back after suffering a partially torn left quadriceps tendon in early February. Brogdon had hoped to return sooner, but every attempt to get back on the court was met with some resistance. If all goes well, Monday night against the Magic will be Brogdon’s return. He has missed a total of 30 games so far. The Bucks are 16-14 during that stretch. The Bucks are tied with the Miami Heat for sixth in the Eastern Conference, one game ahead of the Washington Wizards. The Heat and Wizards own tiebreaker advantages over the Bucks. With Brogdon and possibly Matthew Dellavedova (right ankle) returning soon as well, the Bucks feel they can win a playoff series. After a pair of 10-day contracts, the Milwaukee Bucks signed point guard Brandon Jennings to a multi-year deal, guaranteeing his contract for the rest of the season, including playoffs. His contract for next season is not guaranteed. In 10 games with the Bucks this season, Jennings has averaged 5.5 points, 3.3 assists and 2.1 rebounds in 15 minutes of playing time per game. Jennings best performance came in his first game back with the Bucks, when he scored 16 points and added 12 assists and eight rebounds. His playing time will likely diminish though as injured point guards Malcolm Brogdon and Matthew Dellavedova are expected to return soon. 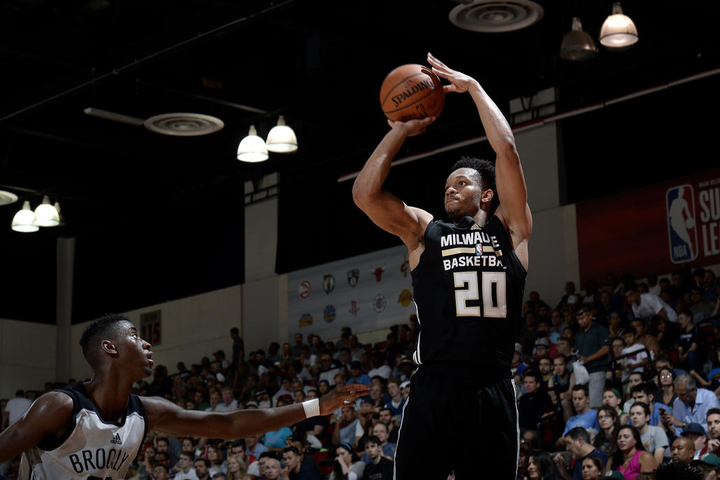 With Thursday’s NBA trade deadline approaching, the Milwaukee Bucks sent guard Rashad Vaughn and a future second round draft pick to the Brooklyn Nets for center Tyler Zeller on Monday. The seven-foot Zeller was the 17th overall pick in the 2012 draft out of North Carolina. He was a teammate of current Bucks center John Henson. Zeller has appeared in 42 games with 33 starts. He’s averaging 7.1 points and 4.6 rebounds, shooting 54.6% from the field. The deal ends the disappointing tenure in Milwaukee for Vaughn, who was the 17th pick in the 2015 draft. He’s appeared in just 22 games for the Bucks this season. He has a career average of 3.1 points a game. Bucks reserve point guard Matthew Dellavedova returned to Milwaukee on Monday where he will undergo further testing of his right ankle, which he sprained on Sunday against the Brooklyn Nets. The Bucks are looking to get a better picture on just how long Dellavedova could be out of action. Two-way guard Xavier Munford arrived in New York on Monday to offer some help. He played with the Wisconsin Herd on Saturday night in Oshkosh. Munford has appeared in two games for the Bucks this season. 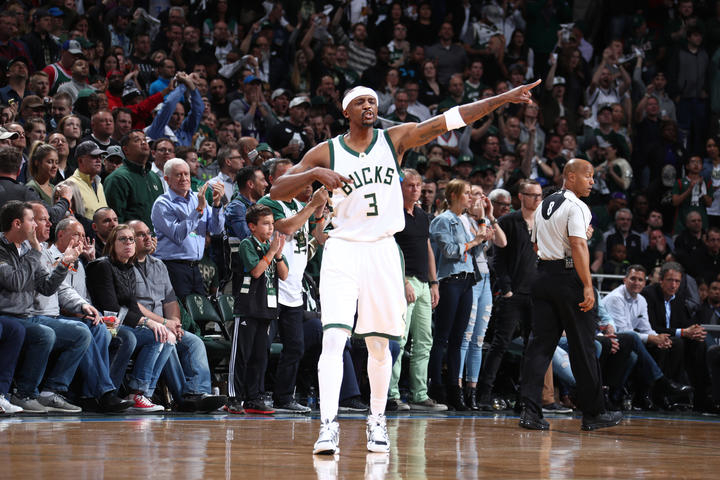 The Milwaukee Bucks led from the beginning and rolled to a 109-94 win over the Brooklyn Nets on Sunday. The win pushed them six games over .500 for the first time since March of 2015. The Bucks also saw Giannis Antetokounmpo and Matthew Dellavedova go down with right ankle injuries during the fourth quarter and are hoping they won’t lose either player for long, if at all. Eric Bledsoe had a team high 28 points to lead the Bucks and center John Henson collected 19 points and 18 rebounds, both season highs. Jabari Barker played 17 1/2 minutes and finished with 11 points. He hit all six of his free throws. The Bucks are now 6-1 under Joe Prunty as interim head coach. The Bucks return to action for game two of their four game road trip on Tuesday night against the New York Knicks. Giannis Antetokounmpo started the night with two quick early fouls. Coach Jason Kidd decided to stick with his star and it paid off. Antetokounmpo wouldn’t pick up a third foul until the second half, helping the Bucks knock off the Celtics 108-100 in Milwaukee’s season opener. Antetokounmpo scored 16 of his 37 points in the fourth quarter and pulled down 13 rebounds. But the play that had the most impact came with less than a minute to go. With Giannis in the post, he drew a double team and found Matthew Dellavedova, who buried a three-pointer to put the Bucks up five points and pave the way for the victory. The Milwaukee Bucks made it interesting, after digging themselves a 25-point hole. But despite taking a two-point lead late in the fourth quarter, Toronto was able to re-compose themselves and pull out a 92-89 win at the BMO Harris Bradley Center. The Bucks outscored the Raptors 28-18 in the fourth quarter, but they didn’t do the little things to pull out a win. The Bucks made just 9 of 18 free throws in the final quarter, in a game in which they lost by three. Giannis Antetokounmpo scored a playoff-high 34 points, playing 47 minutes and Khris Middleton, who continued to battle illness, had 19 points and five assists. But the two combined to make 6 of 14 free throws in the final quarter. The Milwaukee Bucks struggled defensively and fell to the Dallas Mavericks 109-105 before a sellout crowd at the BMO Harris Bradley Center on Sunday. Harrison Barnes scored 15 of his 31 points in the fourth quarter to hold off the Bucks. The Bucks (40-37) remain in fifth place in the Eastern Conference playoff race, a game in front of Atlanta (39-38), who lost to Brooklyn. Giannis Antetokounmpo had 13 points, 15 rebounds and nine assists to lead the Bucks offensively. Matthew Dellavedova had 14 points and six assists and Khris Middleton added 13 points, but the Bucks got only 24 points from their bench. Dallas shot 52% from the field and outscored the Bucks 34-27 in the final quarter. The Bucks return to action Tuesday night at Oklahoma City.